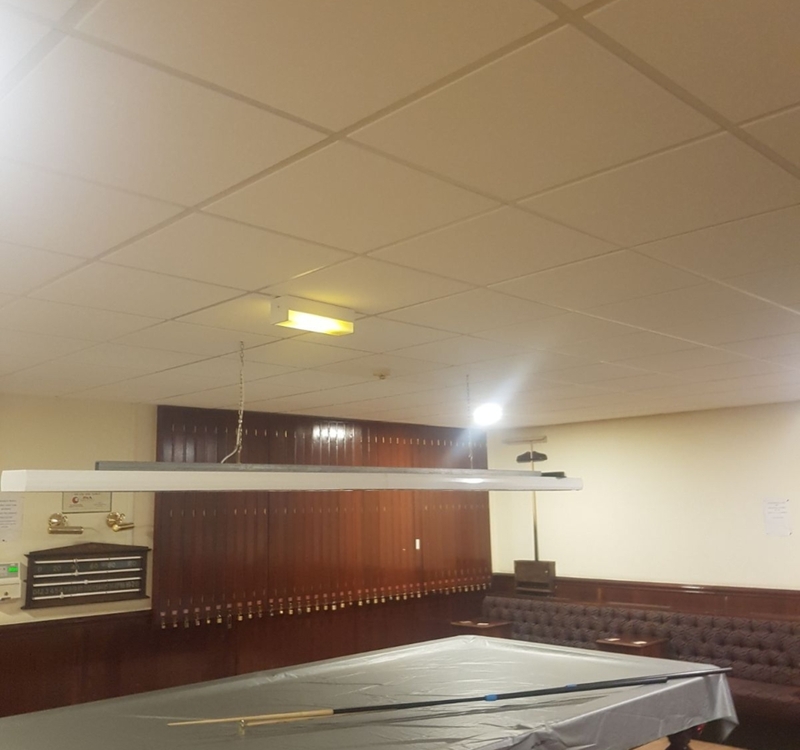 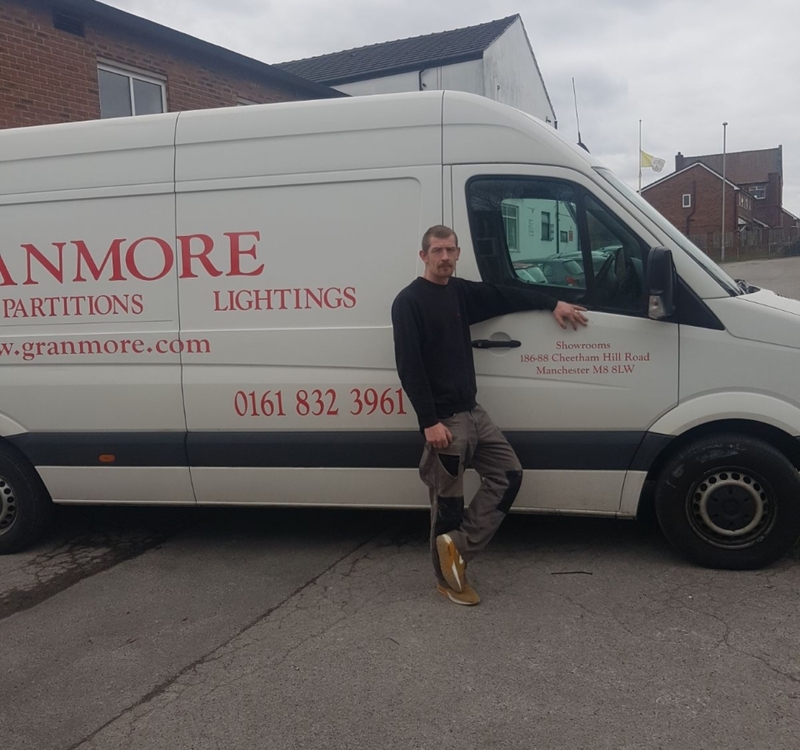 Granmore’s fitters have been hard at work installing some suspended ceiling tiles in a pool hall in Salford . 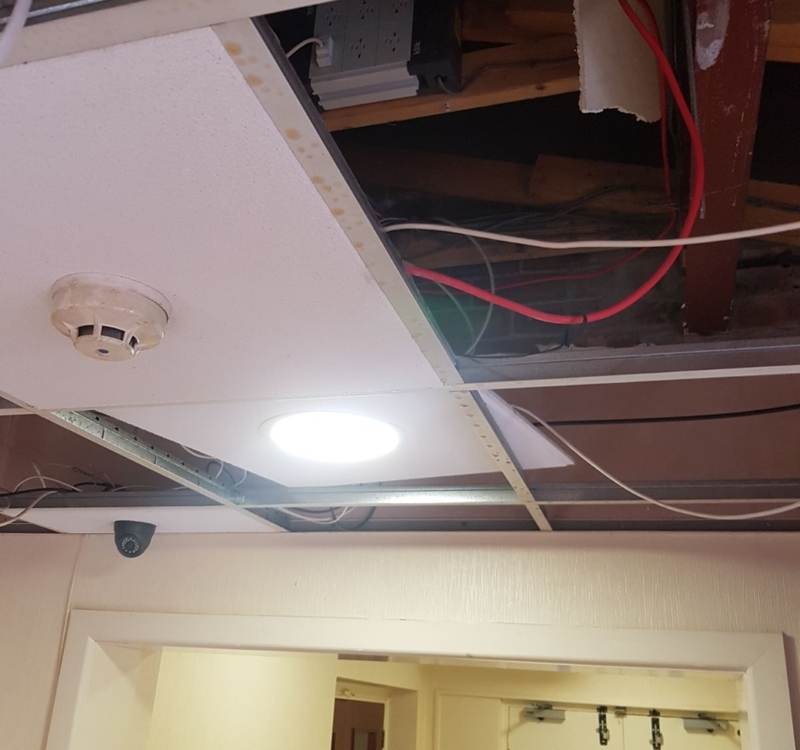 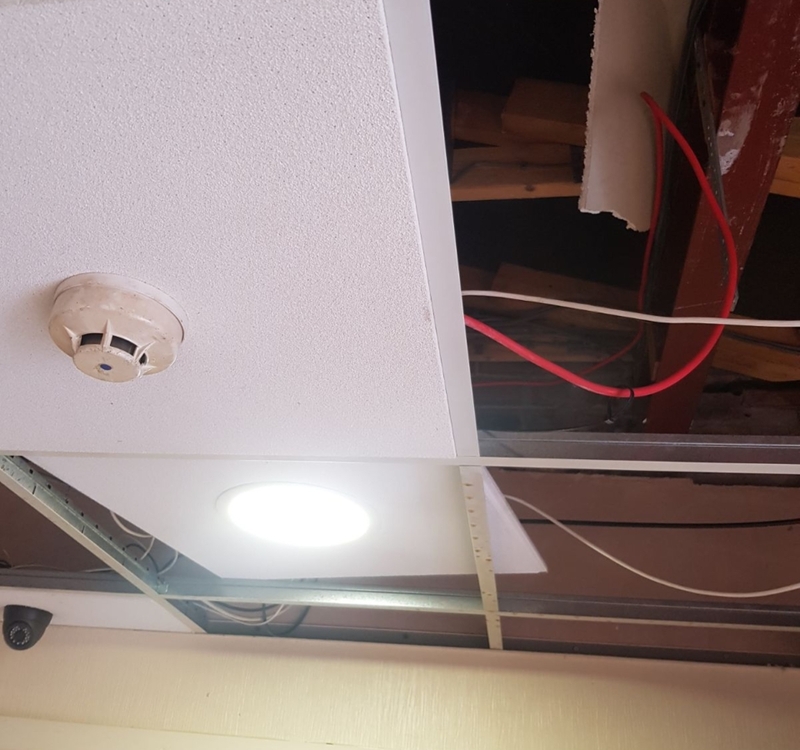 The owners had had a leak come through the roof due to the recent Snow and needed the pre-existing suspended ceiling repairing throughout the whole area . 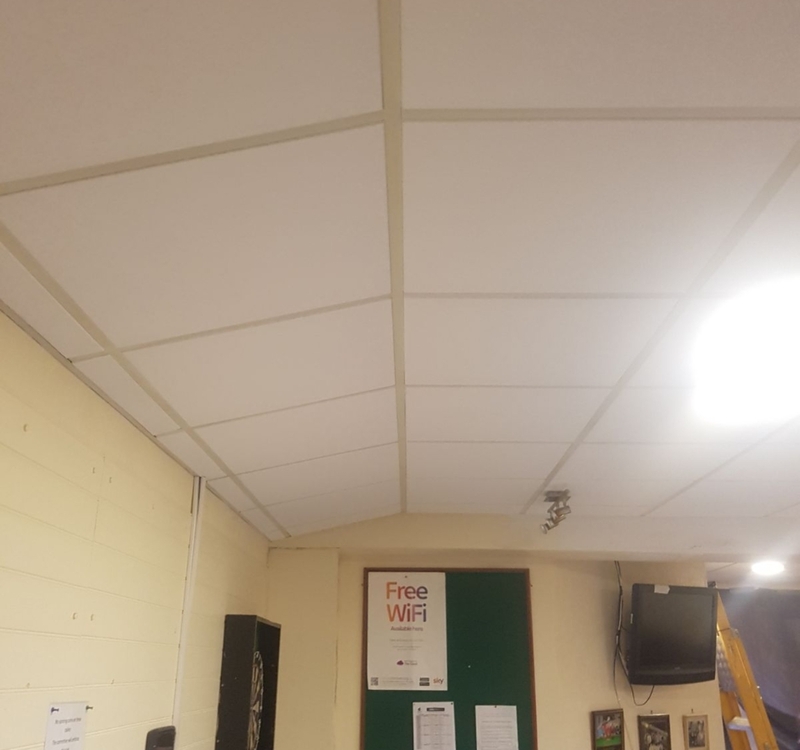 Our fitters cleaned all of the grid that was already up as it was not damaged and was perfectly fine to use , then installed our Sahara suspended ceiling tiles. 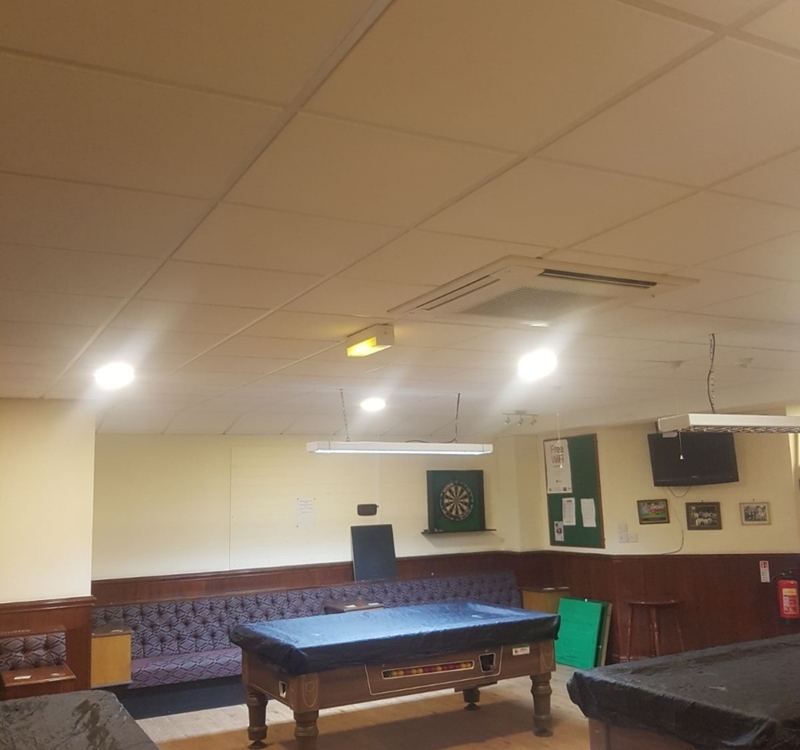 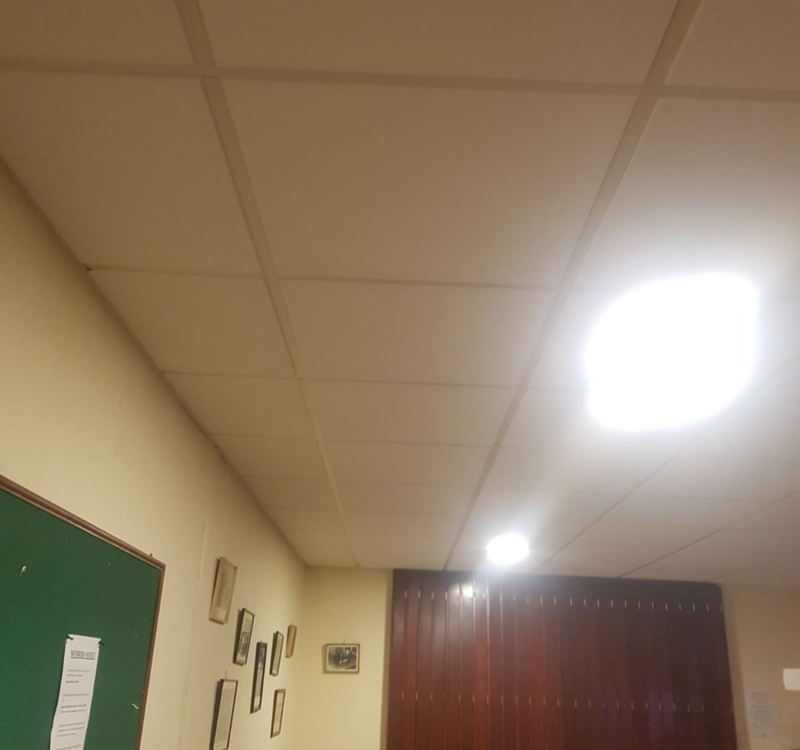 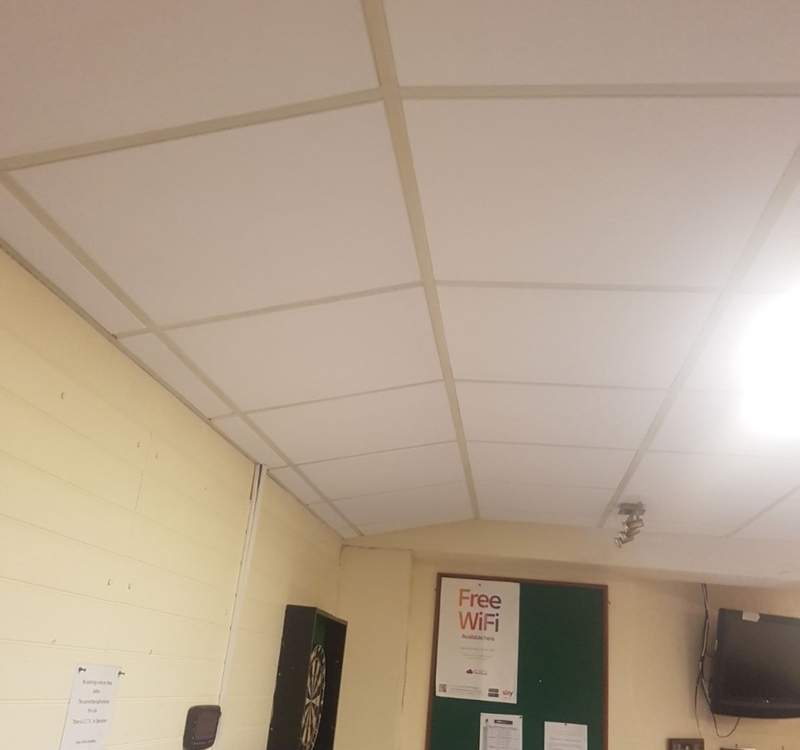 The owner and his local customers are all very pleased with the results saying that the suspended ceiling tiles give the place a brighter cleaner looking ceilings.